Having supplied Australians with quality fridges for over 60 years, Lemair knows a thing or two about producing them for Australian conditions. With its straightforward, compact design and flexible features, this 268L top-mount fridge-freezer will have no trouble tackling your home’s fresh food and beverage cooling needs. Ideal for smaller households or as a secondary storage option, it’s easy to maintain and even simpler to program, and features a variety of useful compartments to help you make most efficient use of fridge space. It lived up to my expectations for the price. Good as an overflow fridge (when you've got people coming to visit), or beer fridge which is what I bought it for. 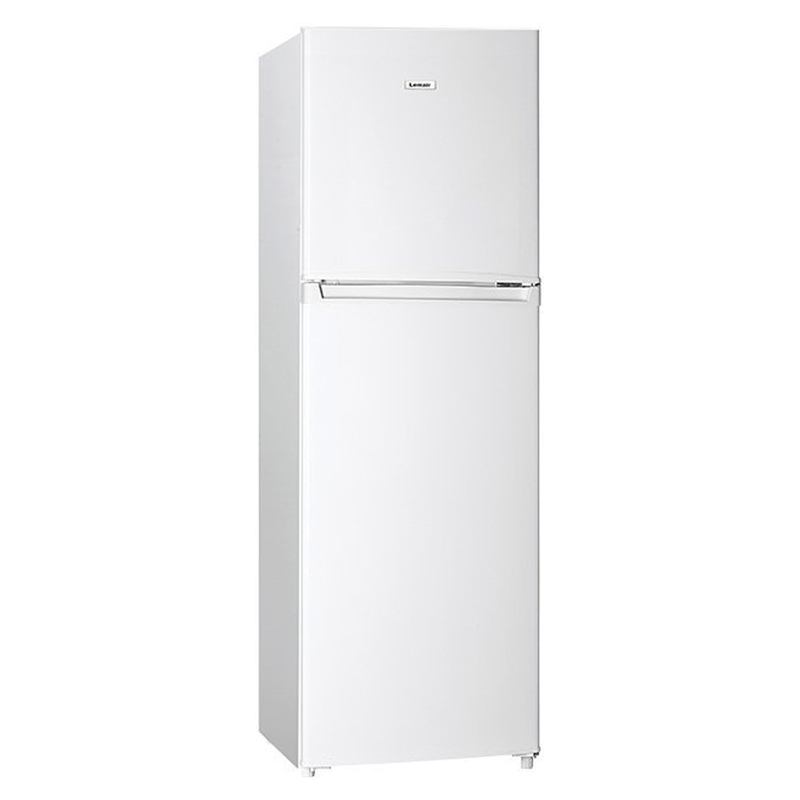 We have waited to give a review of this fridge, as we wanted to see how it would operate for a month or so. We are very happy with it! It is a perfect size for two people. The freezer is on the smaller size, but itâ€™s fine - we have quite a few frozen meals in there and itâ€™s great. We also really like the slim design of the fridge and the shelves are easy to clean. This was our first purchase from Appliances Online and it was faultless from start to finish - we were amazed to have a fridge delivered by the next day! I bought this last July. It now makes a great deal of noise when the engine is working. And the interior light keeps falling out of its socket. It's a real pain. I moved to a new flat and needed a fridge asap. Didnt want to spend much money and the price was very reasonable to my bugdet. Lemair top mount fridge has exceeded my expectation and it works perfect. I saw reviews about the noise it creates but the one I have is very good and there is no sound. Its an efficient product that meets your budget plus the delivery time and punctuality was awesome. Highly recommended!!! We needed a new fridge for the office & this fitted the criteria. Need a fridge for both my housemate and I, we managed to get this. Simple to use and small as well. Purchased to handle extra drinks and now I cook up a storm and freeze meals, soups etc. Helps me shop less and save money by cooking extra meals. Great delivery and amazing fridge! Spacious for a 2-4 member family. Provides good cooling and freezing. Works well, low noise. Perfect for two people or couple. We bought this mainly because itâ€™s the perfect size for our small kitchen and had a decent energy rating. If it had one more star energy rating I would love it even more! Freezer works well and freezes things quickly. Fresh food is kept crisp in the fridge and the simple temperature adjustment scale with recommended settings is very helpful. This fridge is just perfect for my small kitchen and needs. It's been quiet and efficient and for the price I couldn't ask for anything more. I purchased the Lemair 268L fridge to use for fermenting my all grain beer. I use a temperature controller to keep the wort at a constant temperature. It fits my 30 L fermenter in perfectly. It works great so I'm very happy. I didn't know this make, I was just looking for a smaller 2nd fridge is works perfectly and keeps beer cold and does everything a good fridge should do. Even the vegetable crisper keeps veggies ...... crisp! Quickest delivery I have seen of any appliance. Great experience. I bought it about a month ago and it's great, suits all our needs and looks good as well. Thank you for the great service and speedy delivery. Well done. I purchased this fridge a month ago and I am 100% pleased with it. Nice freezer and actually packs quite a lot in the body of the fridge as well. Delivery was easy and no problems. Even took my old fridge away. Great buy. Our older (larger) backup 2nd fridge reached its end of life so we needed to buy a replacement for extra fruit, veg and frozens storage etc. Ordered online, delivered after a couple of days and best of all was the free removal of the old fridge. The new fridge works fine, glad we bought it. Had it about a month suits my needs perfectly.. Very happy. Ideal for an apartment. Great functionality and a brilliant size holding a full weeks grocery shop. My family bought it for me and I was impressed with Appliances Online for delivering it so quickly after them placing the order. Issue with delivery service not the products. I purchased two LTM268W 268L Top Mount Fridges and 2 front load washing machines for delivery to one address. When first opening one fridge I found there was a large dent on the corner of the door, the door was taped shut so I could not open it and when I prized it open found on the inside the swinging compartment plastic door was broken clean in two. I order a large amount of appliances from Appliances OnLine and this is the first time I've experienced this. Very unfortunate for an otherwise flawless effort. I knew this wasnâ€™t a large fridge when I purchased obviously but, it is too narrow. I find it difficult to fit anything in. I will have to replace in the not too distant future. My fault though for rushing and not going â€˜in storeâ€™ to check it out first. Does everything I expected it to. Highly recommend for a middle of the road fridge. I got this fridge 2 weeks ago as a second fridge to keep drinks etc. It is very roomy, well designed and was a great price. Great product, great price and great service. THANK YOU. I bought this fridge for our caravan annexe and itâ€™s a great fit. Plenty of storage yet not bulky and doesnâ€™t take up to much room. Very happy with this product - does what its supposed to. Delivery was fast and hastle free. Love my new fridge, compact as it is just for me. I bought my new smaller fridge as I had a bigger one and I was buying too many vegetables as I love assortment. Now I just Shop weekly instead of fortnightly and don't throw any out. Nothing gets lost up the back anymore. Bought last month. Works great, looks great, and was transported perfectly. Also, awesome to have old one taken away at the same time. Firstly we found Appliances on Line to be very professional. Everything happened exactly as promised. Documentation good. We purchased it as a second fridge as we live in a semi rural area. Secondly I was surprised by how good the fridge is. It is very quiet. It looks really nice, however what surprised me the most is how much we can fit into it. For its size it holds a great deal. I find it is better designed than our large kitchen fridge which cost five times as much. The only thing is, meat took a long time to freeze in the freezer. However, I did not have it on the coldest setting so next time I will turn the setting to the coldest setting. Once the meat was frozen in my other fridge it stayed frozen when I transferred it, so no problems there. Definitely recommend this purchase. Bought this fridge a month ago and it seems to work fine. Not the quietest fridge ever but not excessively noisy. Bought this as a general purpose extra fridge about a month ago. Solidly built and well laid out. The fridge is great I wish I had bought it months ago. Delivery contact and execution was excellent. I work at the Artarmon homemaker centre and will recommend you to customers as I can.Feel free to email me a flyer to give them. If you're looking for a fridge that keeps food cold then boy do I have a product for you. Had such a great experience. The fridge works perfectly and is a good size. Delivery man was fantastic and the customer service agent I spoke to on the phone was so helpful. 100% recommend! Have had the fridge for a month or so and no complaints what so ever. It's quiet, energy efficient and fits everything we need for 2 people. Appliances Online were very easy to deal with, delivered for free and even took outlr old (and huge) broken fridge. Couldn't be happier with the product and service we've received. Really happy with the new fridge. Great size for our little office. I am very happy with the unit, it is simple and does a great job. I am Happy with the interior and the glass shelves are a bonus. The shelving you can set for taller bottles. Basic fridge/freezer and very happy with it. Very good value for money. Happy with service and delivery. I bought this fridge a month ago after reading the reviews on here. I knew that it could possibly be the luck of the draw, but I had piece of mind with the 2 year warranty, not to mention free delivery. This is an awesome Fridge/Freezer for 1 or 2 people. Great fridge,perfect size for my rental property. Delivery was on time and the delivery men were cheerful,courteous and respectful. Only had my fridge a few weeks now but works beautifully,plenty big enough for 1 or a couple. Bought it a month ago, and I like it very much. The fridge has little noice and works all well. Top Mount serves me well, the capacity is also perfect. Glad I made the purchase here. Have had this for a month and so far has been operating perfectly. More than enough room in freezer and fridge for all needed for couple + baby. Won't go below 5 degrees.H ad it replaced new one is worse. Because a week had lapsed since the replacement I was put onto Woolleys Appliance Service who can't come weekends only 8- 5 weekdays and I can't afford to take anymore days off, so I'm writing to Lemair to try to get rid of this lemon. I am brand conscious person however lemair has been exceptionally good so far. I've had this for a month and I'm delighted with it. The excellent price and good service was just the start. I needed a second fridge and this one fitted exactly in the space I had. Good bright light inside makes it easy to see what's in there too. Iâ€™ve had this fridge/freezer for a month and I am very happy with it. Plenty of room for two people, fits in my apartment fridge space really well leaving room alongside for the bin but it is nice and tall unlike others of the same capacity that were short and looked small/funny. Works as it should, practial layout and functionality. The perfect size for my flat. For the price my Lemair fridge has all the features I need. Being frost free will save me a lot of time in defrosting the fridge. I bought Fridge and Washing Machine from Appliances online just few weeks back and i have already started regretting my decision of buying from Appliances online. Washing Machine is terrible, forget about cleaning the clothes, it infacts damages the clothes. Same with the fridge, its not as per my expectations at all. Perfect fridge for 1-2 person households. Quiet, efficient, cool, doesn't frost, removable shelves. Ticks all the boxes. This was a fridge for my daughter, great size and features for a single or 2 person household.appliances online great value superior service and quick! A good little fridge for our accommodation unit. Reversed door opening without too much trouble and no special kit. Love the lighting inside the fridge, itâ€™s very quiet and a good size. Perfect for one to two people. So far I would recommend . Very good slim refrigerator ! Bought this fridge about two months ago and am very happy with it. It fits exactly in the space built for it in my little kitchen - and has a door that can be reversed to open from either side. Plenty of space for one or two people ! 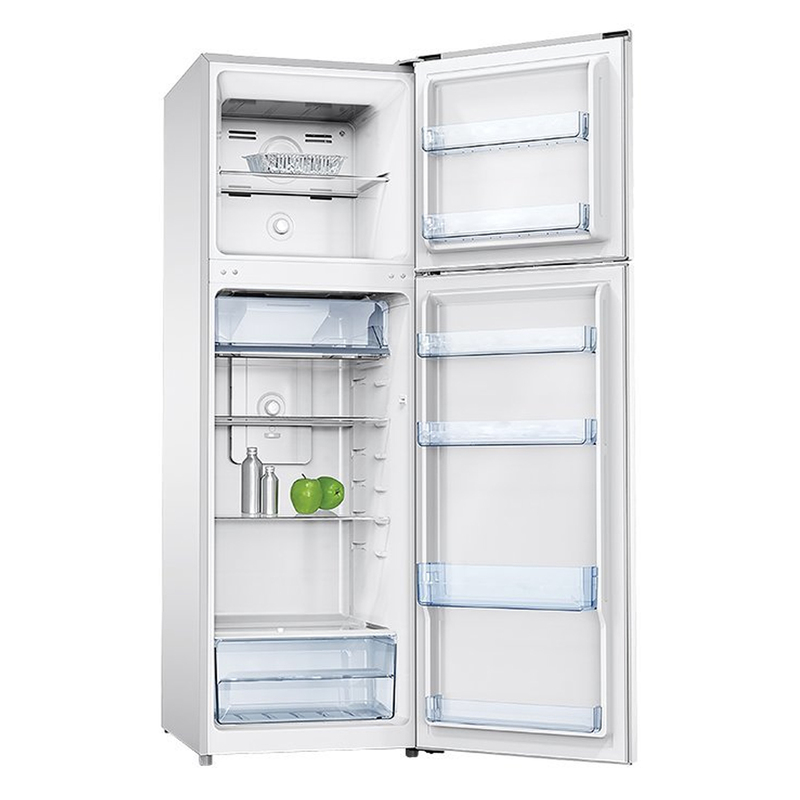 I bought this fridge for an Air B and B apartment, it is nice and slim. Looks great. Very cold. Was so happy with it I bought another one for my Mother 2 weeks later. Seems to be one of the best valued fridges. I bought this Lemair as a second/spillover fridge so needed a medium sized one. After hours of research and review reading it seemed to tick all the boxes. Didn't care that it's not stainless steel cos it's not on show in the kitchen. I wanted something v inexpensive but not too small - it's 167cm high which is great. Again, couldn't fault the brilliant, efficient service of AOL! Bought about a month ago as a second fridge in the laundry. Bit smaller than our previous one so have had to revise what we put in the freezer and utilise the bigger side by side one in the kitchen but on the whole does the job we need it for. Reasonable price and work properly. And installation was on time and satisfied. But firdge door hindge for reversing door wasnâ€™t included so I couldnâ€™t change the direction of door. Ordered online, great value and quality. The delivery was scheduled and confirmed by the courier and delivered on time. Great service and communication. I've had the fridge for a couple of months and it is fine. Plenty of shelves and enough room for our family of two adults. The freezer section fits two loaves of bread and a couple of bags of veggies. It's quiet and runs well. This fridge freezer was exactly what we were looking for. For the price and size this fitted our requirement perfectly. I recently bought this Fridge and it does everything I need a fridge to do! No bells and whistles just a perfectly great fridge! I bought this a month ago after my old one stopped working properly. It's a reasonable size, with glass shelves, none of that plastic rubbish, Frost Free Freezer is great too. We bought this fridge to fit into a smaller kitchen with an odd sized fridge cavity. Although this fridge is on the smaller size width and depth wise it's nice and tall and offers plenty of storage space (we are a couple). Very happy with this fridge so far, everything is nice and cold and veggies seem to keep well.